The CIT Tour Montparnasse is expected to undergo a complete makeover by 2022, following the the renovation of the adjacent building. 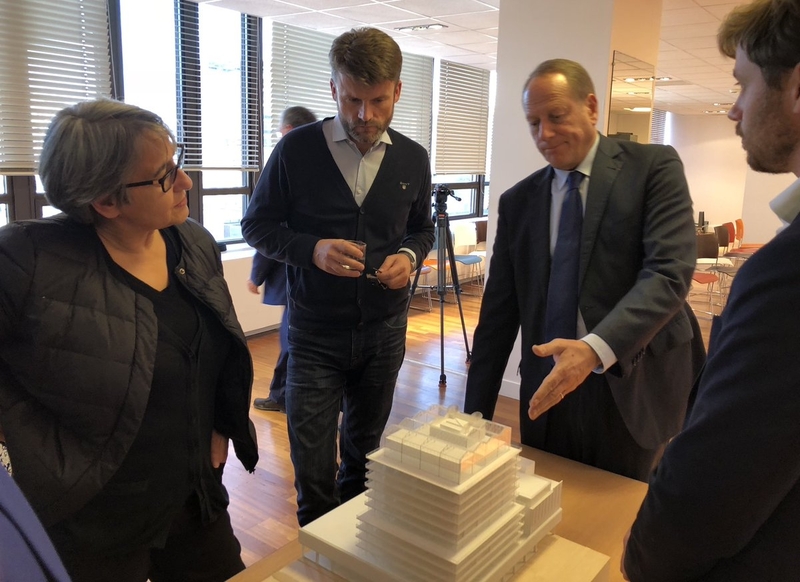 Facing the Galeries Lafayette, the 52 meter-tall Tour Montparnasse's "younger brother" will be part of a revaluation project approved by 95% of the 120 co-owners of the complex, who attributed the development to the French architectural firm Lacaton & Vassal. 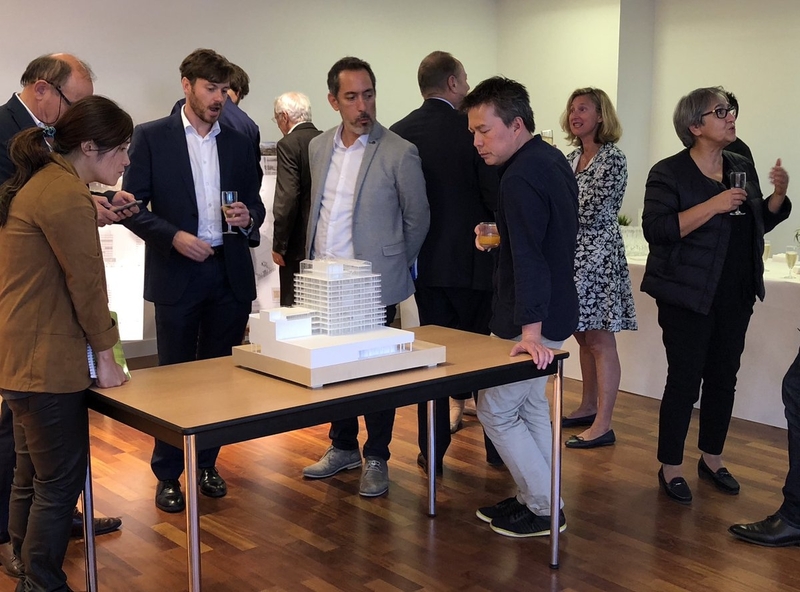 The goal, as Lacton & Vassal Co-founder Anne Lacton affirmed, is to place the CIT tour in the global attractiveness of the district where it is located. In order to do this, the architects plan to substitute the current dark facade of the building for sliding windows and balconies to bring light, while preserving its 1970s identity and historical value. The development will be split into three stages including the energy and technical renovations, the anchoring of the tower into a contemporary architecture, and the creation of a renewed image. The tower will be equipped with a device used for capturing passive solar radiation, as well as a flexible protection that can dim the light in any season and thus limit energy consumption. 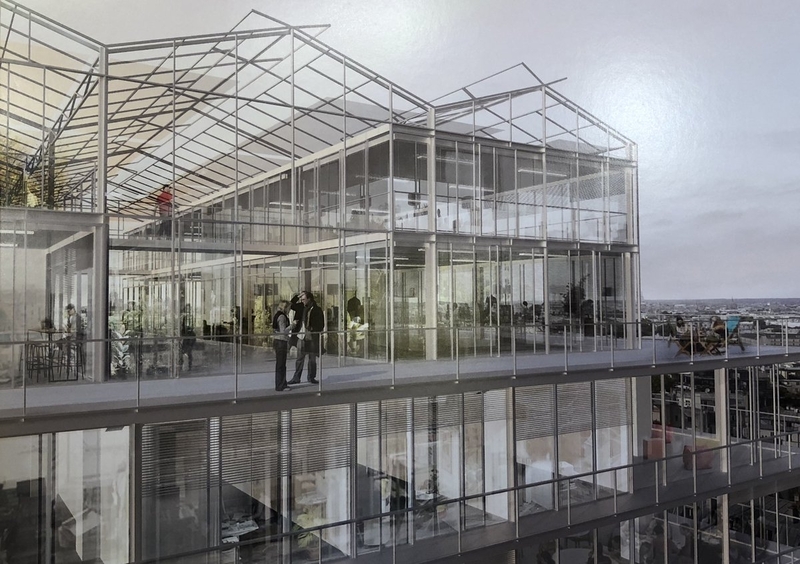 At the top of the 12 floors, there will be a bioclimatic greenhouse which will permanently replace the technical installations that have become obsolete after two years of works. From a winter garden to outdoor terraces, the greenhouse will greatly benefit the entire building by capturing the sunlight and "preheating" the fresh air. Last but not least, the recycling of the rain water and the production of photovoltaic electricity will enhance the energy balance of the building. 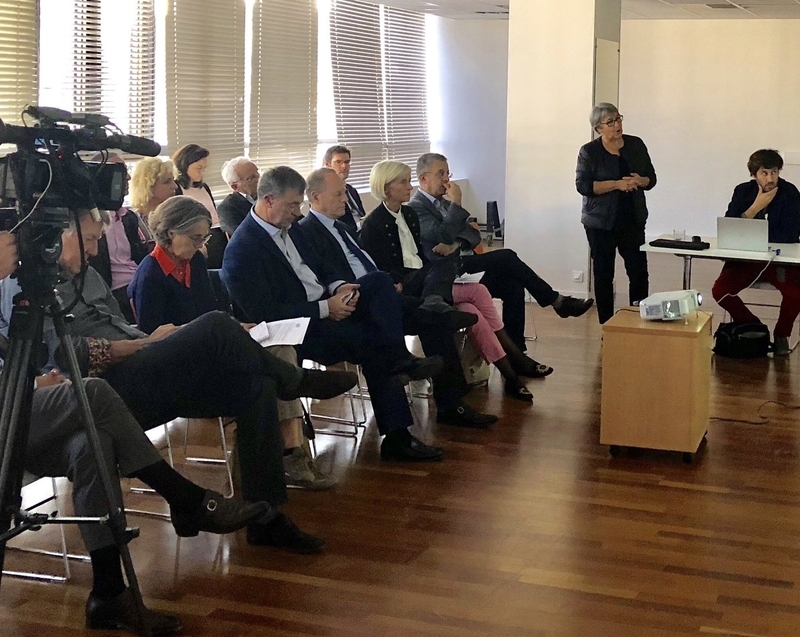 With a budget of 50 million euros, the renovation works should be completed by 2022 and offer more transparency to the Montparnasse district.